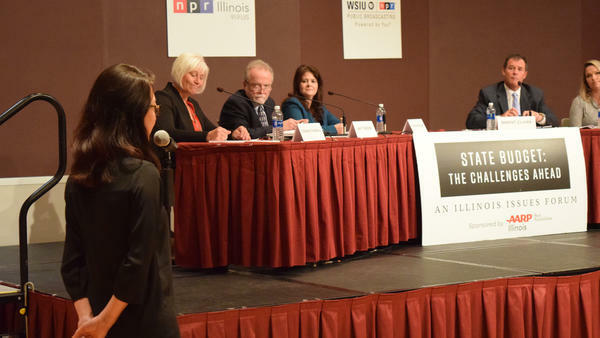 A community member asks a question. 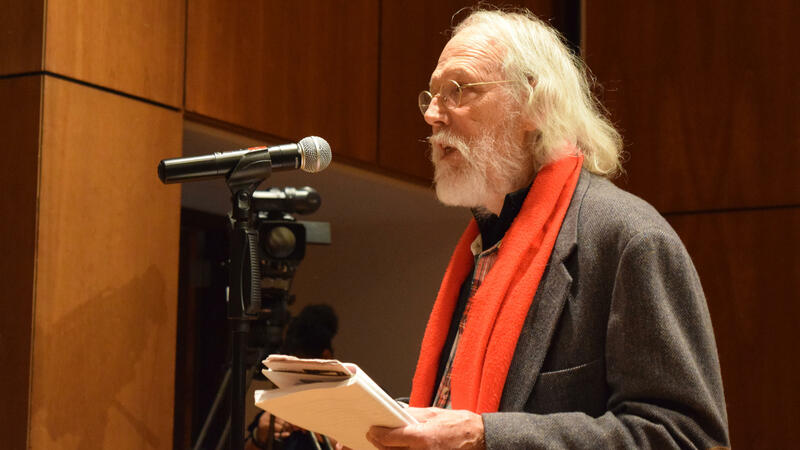 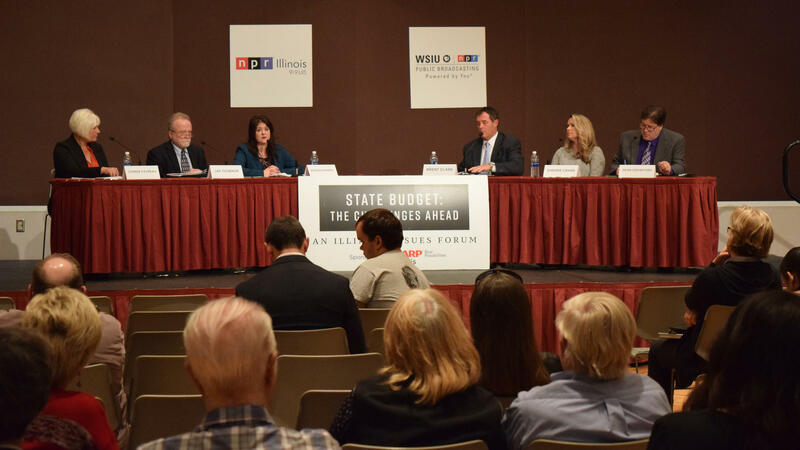 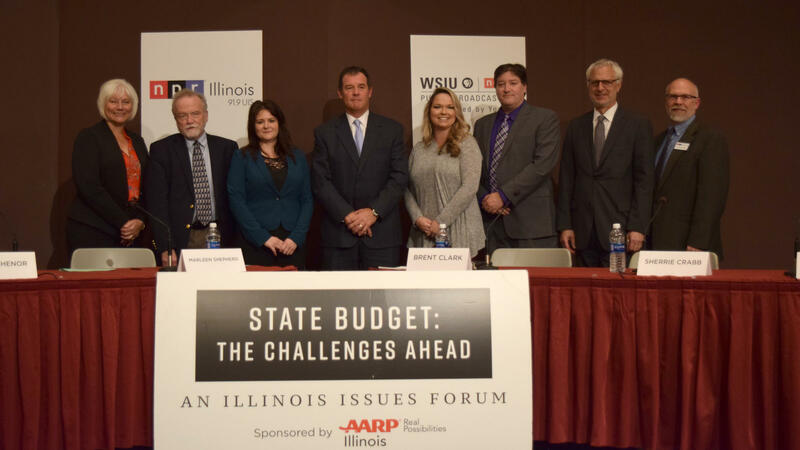 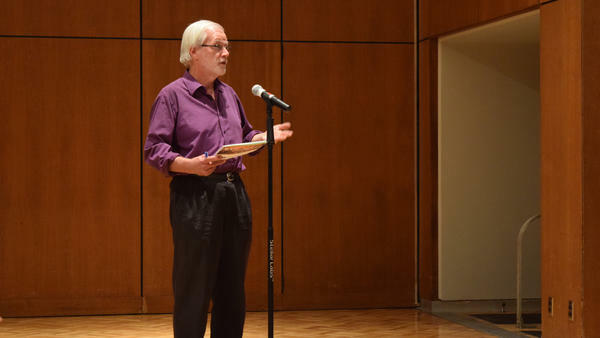 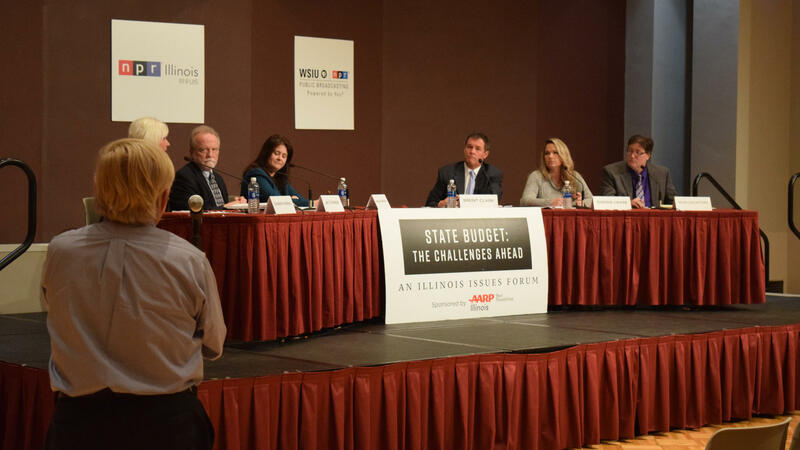 Watch the tenth Illinois Issues forum on the state budget and Illinois' financial future in Carbondale, Illinois. 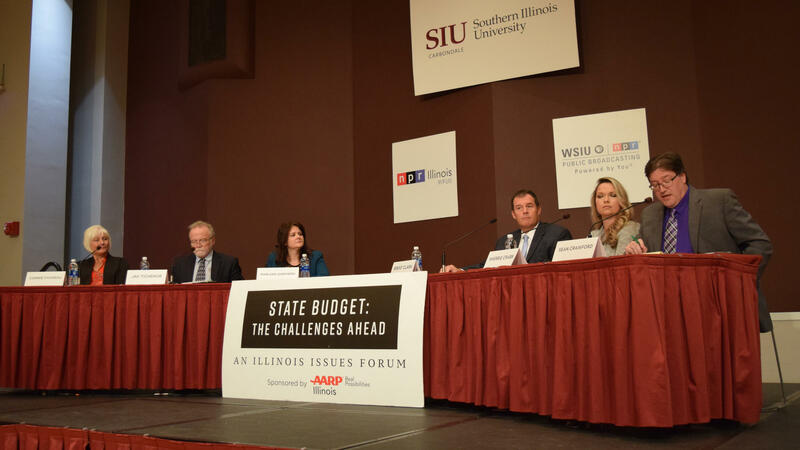 The forum is hosted by NPR Illinois and WSIU Radio with support provided by AARP. 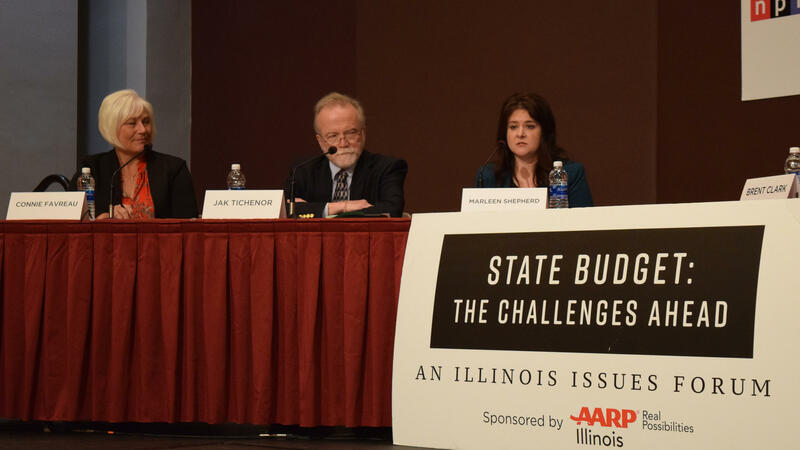 Listen to the 2017 State Budget Forum in Carbondale. 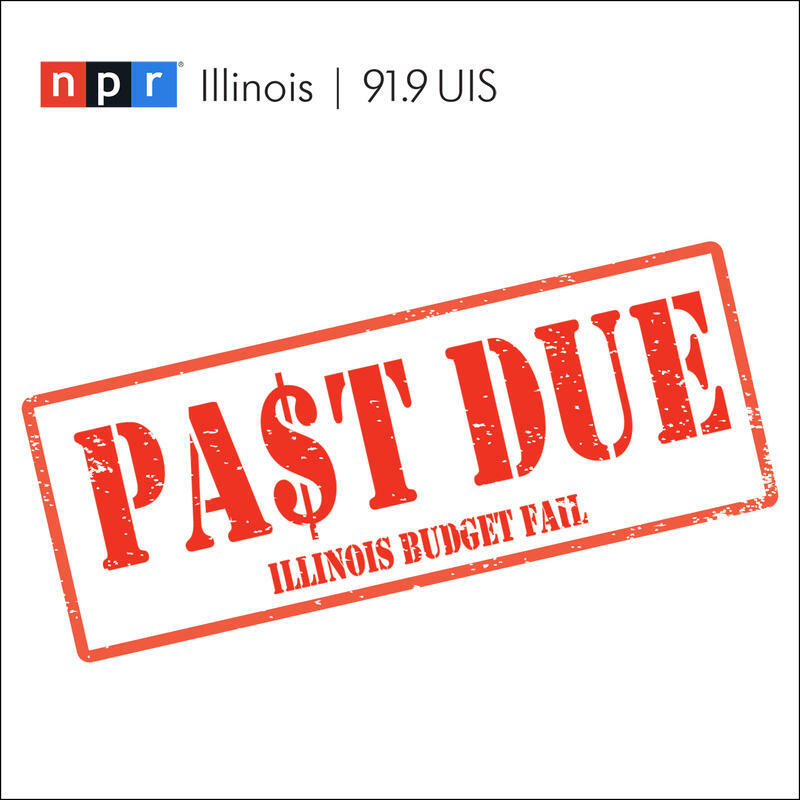 Sherrie Crabb - Executive Director, Family Counseling Center, Inc.
As someone who values being knowledgeable about Illinois, please support this public radio station by clicking on the, "Donate" button at the top of this page. If you're already a supporter, thank you!